dated MY 19 86 on QV 2d (SG.20a). part dated 3 SP -- on QV 2d CC wmk (SG.9). dated AU 23 79 on QV 6d CC wmk (SG.12), toning. part dated -- FE 83 on QV 1d CC wmk (SG.8), perf. toning at top. 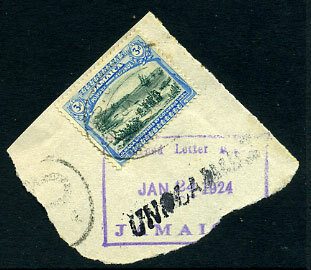 dated -- AU 81 (day not inserted) on QV ½d CC wmk (SG.7).